For Jean-Charles de Castelbajac's rue Madame store opening, we teamed up with Ramdane Touhami and organized a street party. 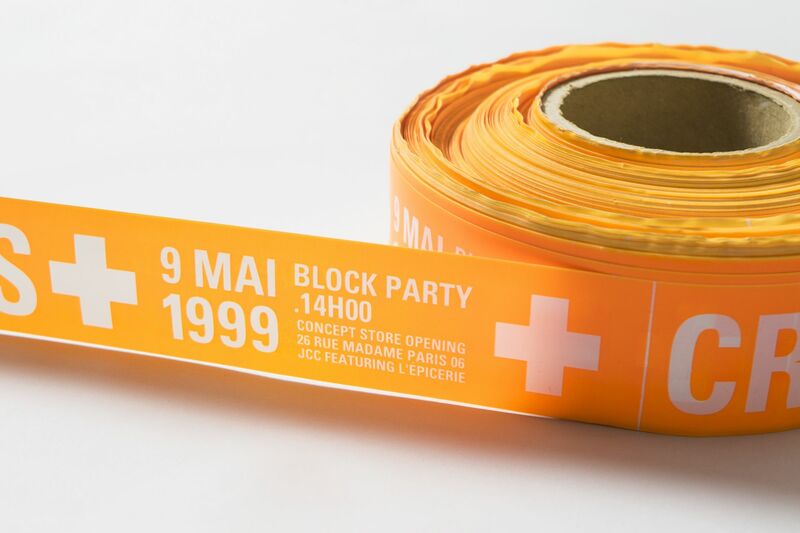 The flyer was hence made of cut-out plastic ribbons, printed with JCDC's signature cross, and was an invitation to actually cross the line. 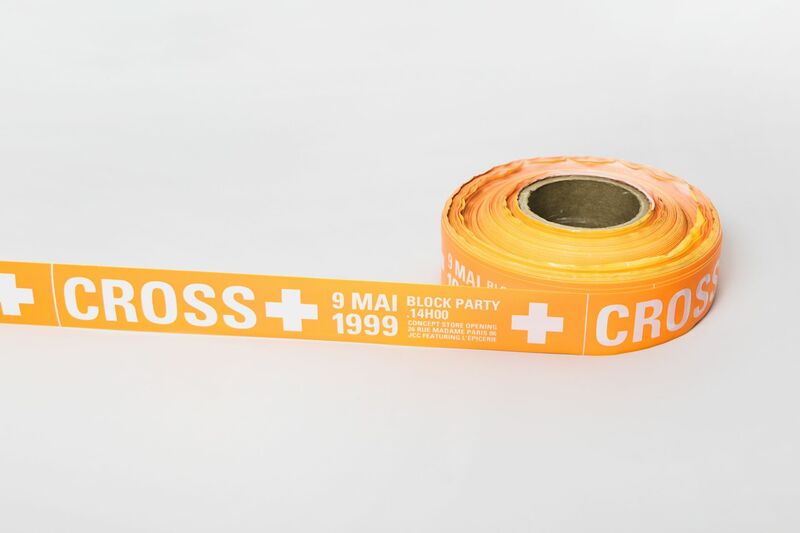 The ribbon was also used to cordon off the area on the night of the event.